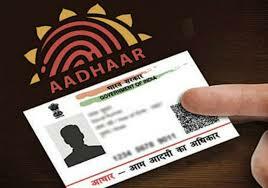 The Supreme Court of India on Wednesday, 26 September, announced that private entities cannot demand that Aadhaar be linked with various accounts. submit their Aadhaar ID to open new bank accounts or to issue new SIMs. The ruling also states that a person has the rights over their data and it should not be stored without consent. According to the Compendium of Regulations, Circulars and Guidelines for authentication of Aadhaar-based e-KYC, available on the official website of UIDAI (Unique Identification Authority of India), anybody with an Aadhaar number can ask to delink his/her biometric details that has been shared with any authorised agency or service provider. "The Aadhaar number holder may, at any time, revoke consent given to a KUA for storing his e-KYC data or for sharing it with third parties, and upon such revocation, the KUA shall delete the e-KYC data and cease any further sharing." According to this report, the user can submit a written application to their bank or telecom operator asking them to remove biometric Aadhaar details from their account. The Aadhaar feature had recently become unavailable in wallets like Paytm and PhonePe, and others like MobiKwik are likely to remove the option in the coming days. Will the banks going to charge for delink of aadhar ?